At this point, we'll pretty much take anything as long as it's new. There's no question the dated Nissan Frontier small pickup still sells well, but there's also no denying that it's seriously aging and needs replacement in a market where everyone else is new (Ford Ranger, Chevy Colorado, Honda Ridgeline, Toyota Tacoma, Jeep Gladiator). The Frontier is the pickup truck equivalent of bag phone, so we're surprised it still sells as well as it does. Its only differentiator is that it's the cheapest pickup you can buy, but Nissan can only hold onto that one for so long. Now, it's been confirmed that the brand will bring a new model in 2020. Sheesh, it took long enough. The Navara already sells globally, so why not bring the damn thing here and change the name? Automotive News reports that the brand will have the truck ready to sell in 2020 as a 2021 model. But there's a catch. The new Frontier will probably not get an American market Navara pickup that's sold in pretty much every other market except ours. It seems Nissan wants to just update the Frontier's currently dated platform and build a new model based on it for America. We're guessing it's all cost-based since our Frontier is made in America, while the Navara is made in Barcelona, Spain. The cost of building a U.S.-spec model there and exporting it to the states would be more than building a new one here. It's likely that Nissan wants to maintain its foothold as an affordable pickup truck by keeping costs low. Whether or not that means the new truck will still have a dated rear leaf spring suspension remains in question. The Navara uses a multi-link setup, which costs more and is more complicated than leaf springs but provides better overall damping and even enhances a truck's approach and departure angles. Even if we get an untweaked Navara, it looks way better than the current truck. Another inhibitor to bring the Navara here is the fact that it's not currently designed as a four-door with a long bed, something alien to American truck buyers in terms of a pickup truck configuration. That version would have to be developed, and that takes money. The current Frontier offers a Crew Cab long bed that has four doors and a 73.3-inch (6.08 feet) bed. We don't see Nissan getting rid of that configuration, so the existing platform makes sense from that perspective. 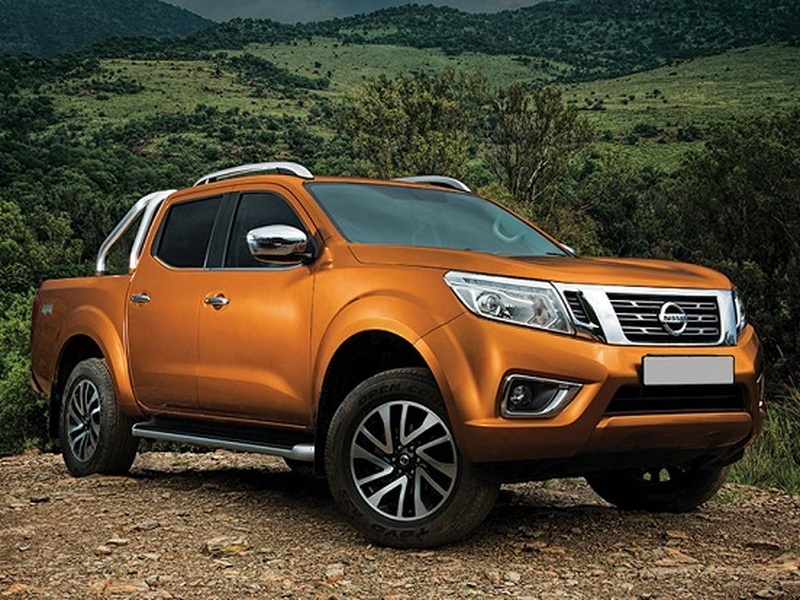 The Navara cabin isn't bad, but we hope the new Frontier gets a totally new one. Expect styling that will be, as Nissan says, "futuristic". What that means, we're not quite sure, but it will definitely look better than the current one. The Navara looks pretty good, as it is, but we expect the Frontier will adopt some of the bigger brother Titan's handsome sheetmetal that will look modern but still tough. Word is that the new Frontier will have, at least as an optional engine, a 3.0-liter V6 with about 300 horsepower. This will replace the current truck's 261-horsepower 4.0-liter V6 unit, and the new engine will be mated to a new 7-speed automatic instead of the old 5-speed. The EnGuard Concept based on the Navara would be a great competitor to the Chevy Colorado ZR2 Bison. Whether 2020 is too late to make a significant mark for the brand remains to be seen. If Nissan can keep the Frontier cheap while updating pretty much everything from the design to the safety tech and infotainment, it may have a winner on its hands. We're just happy to see something formal in the works.